The thought just occurred to me yesterday — and a sobering one at that: We Americans have all been Morillized. As a matter of fact, all of us have been Morrillized to such a degree that we now live in a post-Morrill nation. If you recall your history, the purpose of the Morrill Land-Grant College Act of 1862 was to improve the standard of living in the various American states and, ultimately, the nation as a whole by providing the laboring classes with education in the practical arts. 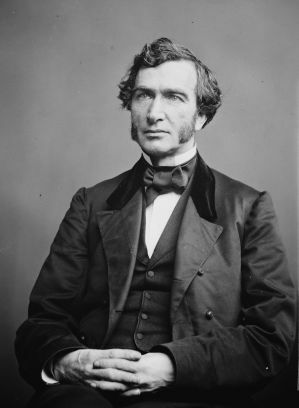 I would contend that Justin Smith Morrill’s vision has exceeded beyond measure and in ways he scarcely considered at the time. To be sure, not everyone has ascended to the ranks of the middle class. Not everyone possesses a college education. Even so, the highly technological world that to a significant degree grew out of the Morrill Act has placed all of these practical arts at the fingertips of virtually every individual in this nation. Kovacs is now an educator with his own self-constructed learning facility. If any statement speaks volumes about the post-Morrill world in which we live, it is that one. In terms of knowledge empowerment, people no longer have to wait on someone else. Frank Kovacs has demonstrated that fact. In a manner of speaking, all this Morrillizing has helped create a technological order in which people are now fully capable of empowering themselves. I contend that this reality presents Extension with a fascinating question: What is our purpose in a post-Morrill world? We live in a drastically altered knowledge landscape, one that is flat. To a significant degree, the flat world is one that Justin Smith Morrill made. We should give him his due — for that matter, we should give ourselves ample credit for the indispensable role we served in Morrillizing America. However, post-Morrillization presents us with a new set of challenge perhaps best expressed by this question: Where do we go from here? We should start by reflecting on the most obvious effect of post-Morrillization: Americans are now fully equipped to empower themselves. Yes, we remain an agency of empowerment but not in the way we were in the past. Back to that rather unwieldy neologism: contextualizer. In the future, we will empower people by providing them with deeper, more enriched learning contexts. In time, we will learn that these contexts are best secured within social networks — networks that are open, responsive and dense enough to ensure the most optimal levels of enrichment. We must construct nothing less than a new outreach model — in a manner of speaking, a post-Morrill outreach model. Even so, I, for one, am convinced that our history and experiences uniquely equip us to undertake this transformation. One thing is certain: Despite these challenges, post-Morrillization is no cause for demoralization.